Welcome to the adult camp registration! Age is just a number. We’re all young at heart, right? For the first time, we are offering a camp for the 18+ rock n’ rollers! This is an evening camp that meets 2-3 nights per week, over a 2-week period (same 2 weeks as the kids camp), ending with a performance on the Mendelssohn stage in front of our friends and family! Not only that, our camp provides optional performance opportunities for our adult campers throughout the community, throughout the summer. All rehearsals will be held at Mendelssohn PAC, unless specified otherwise. This field is hidden on the front-end and is automatically tallied for the total. 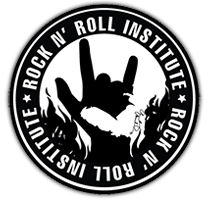 Would you like a Rock 'n' Roll Institute Shirt? Please describe who or how - Thanks! If you would like you can enter a donation amount to be added to your total. We can’t thank you enough. YOU ROCK!